Just regular folks. 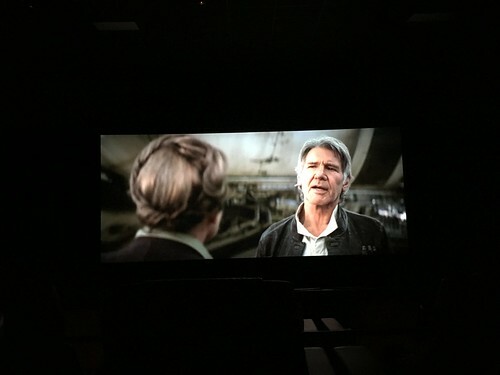 : The force, it's calling you. Just let it in. 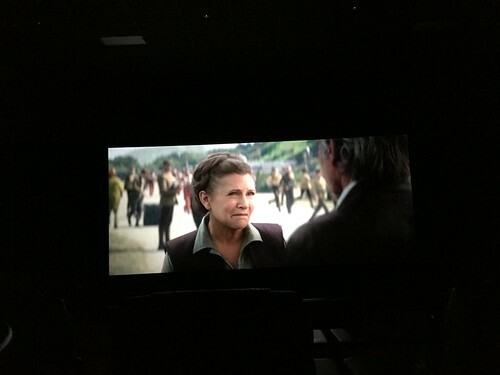 Took Mom and Dad to see Star Wars (finally!) at the *fancy* movie theatre in North Bethesda. 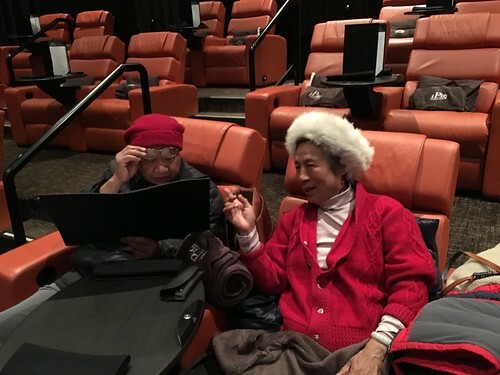 In this particular theatre, you have pillows and blankets and unlimited popcorn and table service for food. We had lunch together. My dad had a good time telling everyone (all 4 people who showed up for any mid-day movie) that he took me and Donald to see Star Wars when I was 5 (just down the street at Congressional Plaza), and now, almost 40 years later, I'm taking them to see Star Wars. Love these pictures! The old one in the tree is my favorite. Second favorite is the glacial one Noel took. Hope the snow storm isn't too bad for you guys. Josh goes back to RPI Saturday via Florida. He may be sleeping with alligators!He is so nonplussed about the weather. All of you stay warm and have some hot chocolate.